FC Barcelona began a big week with a training session on Monday morning. 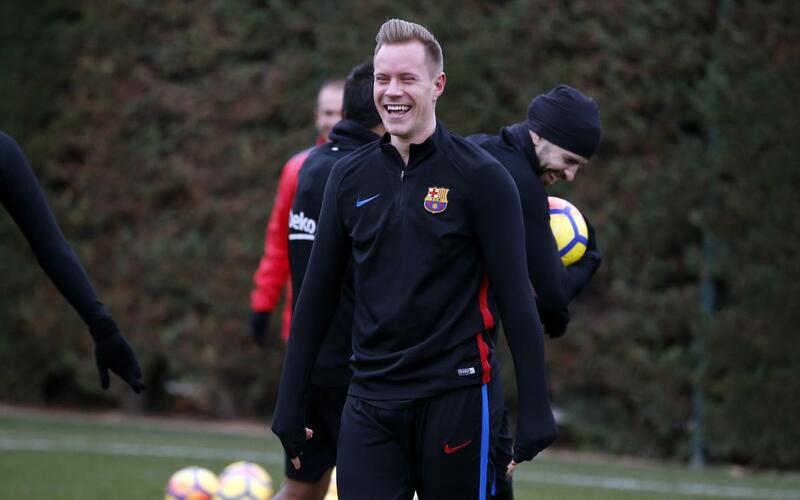 In the run-up to El Clásico against Real Madrid (Saturday, 1pm CET), the first team took to the Ciutat Esportiva for their first workout of the week. Spirits were high after the 4-0 Sunday night victory against Deportivo La Coruña, in which Luis Suárez and Paulinho both scored braces. The only sour note from that game was the injury suffered by Paco Alcácer, who was unable to train on Monday as a result. The recovery session featured all available first team players, as well as four Barça B players being put through the paces by coach Ernesto Valverde: Varo, Fali, Choco Lozano and Moisés. The team have a day off on Tuesday -their final day of rest before El Clásico- and will be back to work on Wednesday.